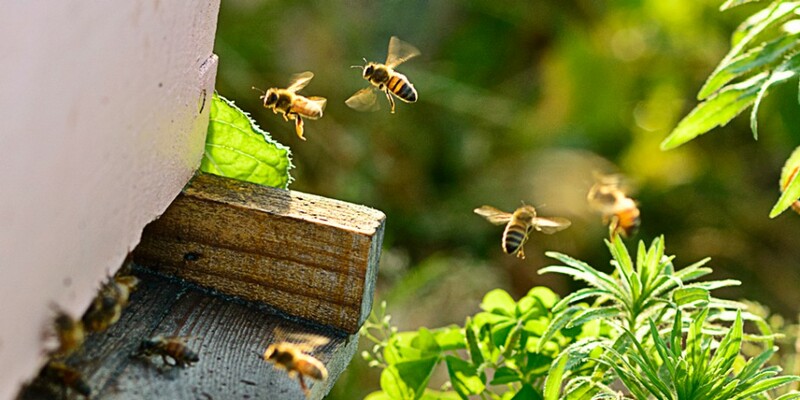 Blog The Beekeeping Collective is seeking new members! The Beekeeping Collective is seeking new members! The Santropol Roulant Beekeeping Collective is seeking new volunteers to build a collective that will keep our urban hives healthy and happy! The Beekeeping Collective is a group of beekeepers working to support the permanence and the sustainability of the beekeeping community in Montreal. We promote the interests of bees and beekeepers to maintain a healthy and vibrant urban beekeeping practice in Montreal. 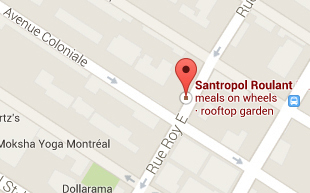 Our hives are located on the rooftop of the Roulant (111 Roy St.) and McGill’s Frank Dawson Adams Building. Find out all the details in the document below. Attend one of two open house workshops being offered at Santropol Roulant for prospective collective members. The workshop will be held on January 28th (10:00-12:00) and January 31st (18:00-20:00). Sign up on Eventbrite. After attending the workshop, you will be asked to complete a short application questionnaire before February 10th. Note: You must attend one open house workshop in order to complete the application. Please note that the first meeting will be held in early March. Because of the nature of the work, we can only accept a limited number of new members every season. We will respond to all applications by early March. Thank you for your interest in Santropol Roulant’s beekeeping collective! Check out our website, our blog or our Facebook page. For more information, please contact us at apiculture@santropolroulant.org.